一个是美玉无瑕。the other, a flawless jadestone empower’d. 如何心事终虚化？How’s that our wishes come to naught ever? 一个空劳牵挂。 one uselessly harbors anxiety. 一个是镜中花。 one is a flower seen in the mirror. Yet, forever blooming spring willows and flowers are in full view at this picturesque dwelling. I forget not at all recent and past sorrow. Looking into infinity the ornate mirror reflects only my meagerness and despair. My frown can’t be unlocked; I endure the long dark night not. Or a meandering emerald stream that can’t be block’d! *The ‘red bean’, 红豆 hongdou, here really is the jequirity bean, which is produced by the leguminous jequirity plant (Abrus precatorius, cf. 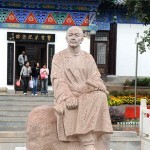 http://en.wikipedia.org/wiki/Abrus_precatorius) and used often in Chinese poetry as a love token—相思豆 xiangsi dou, the love bean, e.g. 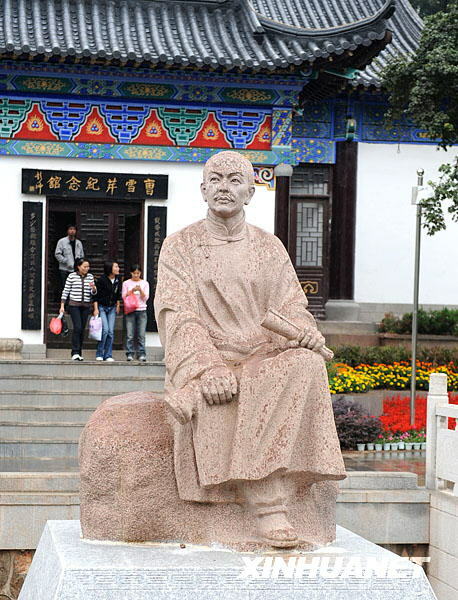 王维 (701-761) Wang Wei’s poem 相思 Xiangsi. Xiangsi 相思 denotes a special yearning for a loved one, from whom the lover is separated. Cao’s 红豆詞 HongDou Ci (Song of the Red Bean) is from his famed Dream of Red Mansions. 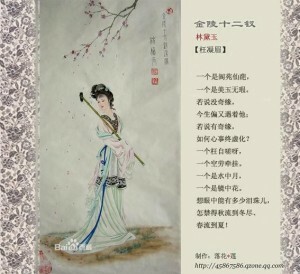 It was written as a poem for the protagonist, 贾宝玉 Jia Baoyu, to sing after he was separated from his lover, 林黛玉 Lin Daiyu. It appears in Chapter 28 of this classic novel.